Ella is class bunker and likes to spend time on writing to earn extra in her free time. 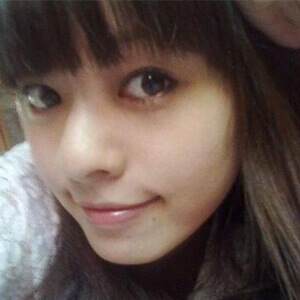 She works for Essay-On-Time as a writer. It is essential to offer amazing content at all times, but crafting this content can be overlooked at times. Almost 58% of content marketers hardly have much time to produce content. Every blogger craves to write high quality, useful content for their audiences. But if they’re writing for other websites along with writing for their own sites, they face more pressure to keep up with the quality writing. Whether getting paid in traffic or cash, you as a writer can expect your users are counting on you to produce high quality every time. In order to produce your content in less time, you should maintain a topic list, build a content calendar, do research before writing, craft an outline, get rid of distractions like social media, emails, phones, and write when you get motivated. 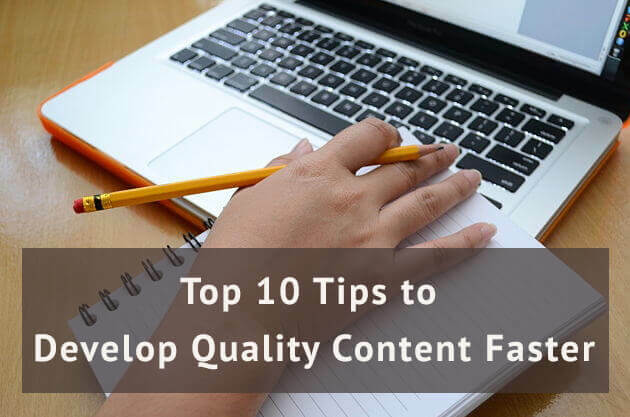 Listed here are 10 vital tips to help you develop quality content quickly. It is hard to ask a person to manage content marketing strategy and production procedure single-handedly. So the content marketing process can be divided into three levels: strategy managed by VP or Director; production management handled by Editorial Manger; and writing and proofreading by content developers, creative writers, and proofreaders. In this way high quality content can be maintained every time for the websites. If you’ve hired freelancer writers, you need to give them more of boost and inspiration than a paycheck. You should make them feel that they are a vital part of your team and encourage them to work enthusiastically for their company they’re attached with so that there will be higher productivity. You should ensure to share full and part-time job openings with them, and share any recent updates made by your team. It is recommended that instead of having many freelance writers on board, you should keep few good writers who have their experiences in writing and skill sets, and can produce their best. On a regular basis these writers can provide you excellent work for you in line with your deadlines. Though it is an easy process to find freelance candidates, be careful in selecting them for your long term ongoing business. It is easy to expand a clear content strategy with perfect goals but at the same time you need to communicate these goals with your team members; mainly your writer so that they may produce content to reflect your goals. The freelance writer should know and understand these goals. Your writers should use Google drive to submit their contents. The workflow of Google drive is simple as its inline comments make the association really simple. You can also chuck out those continuous email attachments and updated work chaos. You should remain focused on the considerable Key Performance Indicator [KPI] that you’ve placed for every piece of content and carry out more of what executes well. Be sure to convey this this to your writers too. Even a short blog post written in a small time can touch the hearts of your target audience rather than a long post. You should always remember that good blog posts are brief and to the point. So when a writer works on a particular topic, the person should collect ideas via research and split them throughout the content. Thus they should keep the content simple in order to wrap it in less time. One big risk to fabricate quality content is time pressure, and writers need to submit it within deadlines. So they need to schedule their timing for every content that should be submitted by the end of the day; and work accordingly. If the writers are in a hurry to go somewhere, yet present their work at a given time, they need to start writing the day before or much ahead to end it soon. In order to post a blog, the writer needs to find out photos, videos, upload them, enter a photo credit, and write title tags and a catchy headline. They can surely save their time by planning ahead. Though they may not be writing their posts today, but can get the related photos installed on those posts from earlier. Thus when they’ll finally write, half of their work is already done. A perfect accomplishment of content production requires a disciplined approach. The content developers should schedule their time, find somewhere that they find inspires them to write and write in a good mind. You should list topics and work on them that your audience would benefit from and enjoy reading too. Consistent publishing of content will return you back with heavy traffic pouring, new leads and also new visitors often. I hope content producers will benefit from the above tips to help produce quality writing in a more time efficient manner.